As you all know, this is my favorite time of year. My visits to our vegetable farms are always a treat. There is never a dull moment and I always seem to learn something new each one I visit. One of my first stops this season was to the Yarnick’s Family Farm in Indiana, PA. Yarnick’s has been a great partner and received the Award of Excellence from our company last year. The Award of Excellence is presented each year to an outside supplier, contractor or professional who has significantly contributed to the success of the company. The Yarnick’s did an outstanding job with growing a variety of vegetables for us and we wanted to recognize them for their incredible work. This year, my focus is to find more farmers that are growing crops that we can normally only purchase from California such as spinach and lettuce. With California facing a serious water shortage, we need to find the most environmentally sustainable sources of these high quality ingredients to serve our guests. Since the Yarnick’s have a variety of ways in which to grow produce; greenhouses, hoop houses, and field production, I felt they were the perfect candidate. This summer, we will be testing these growing methods to produce spinach and a lettuce called Fusion which is cross between Green Leaf Lettuce and Romaine. 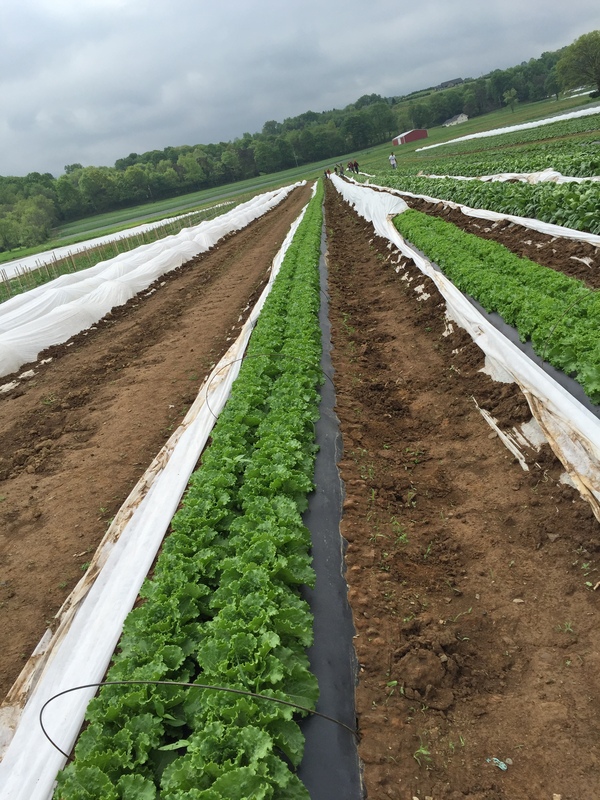 This lettuce can withstand hot days and warm nights, so it’s ideal for our region this time of year. I also had the pleasure to visit Wiers Farm in Willard, Ohio. Since its beginning in 1896, Wiers Farm has offered high quality produce. 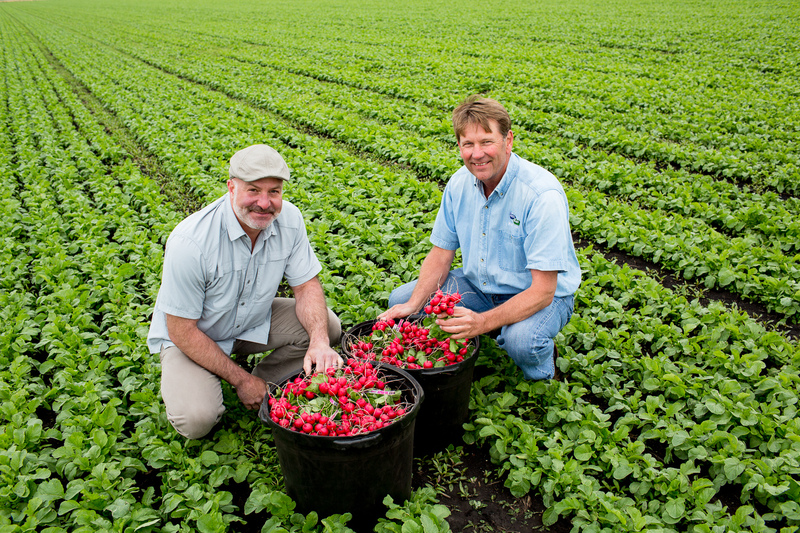 Today, the Wiers Family operates in Ohio, Michigan, and Florida, producing over 40 different crops. In addition to its farming operations, the Wiers Family also owns the trucking company Dutch Maid Logistics. With a fleet of over 100 top of the line trucks and over 150 refrigerated trailers. One of the owners, Ben Wiers showed me around this state of the art farm. The Wiers farm over 2000 acres in Willard and they grow a variety of vegetables including radishes, cucumbers, greens, peppers, tomatoes and lettuces. We have been fortunate to partner with them before and plan to incorporate a few more varieties of their vegetables in the coming months. One of the first crops Weirs will provide is radishes. Did you know radishes are one of the quickest growing vegetables? The ones we harvested with Ben were less than 30 days old. The key to growing radishes is all in the soil. The soil has to be very loose and free from of rocks. The soil in western Ohio is called muck, which is made up primarily of humus from drained swampland. If muck farming isn’t done correctly the soil can literally be blown awayby wind. The Wiers are a 5th generation farm so they have combated this by always having something growing. In the winter months, they plant cover crops such as wheat, rye or clover and as soon as the threat of frost has passed, they start planting their crops. As we look to grow our FarmSource program, farmers like the Yarnick’s and Weirs are who we turn to because of their dedication to farming innovations. Our local producers are working hard so the next time you’re dining with us, look for the FarmSource signage signifying where those veggies were grown. I hope you enjoy some of the great harvest that’s soon to come. Now eat your veggies!